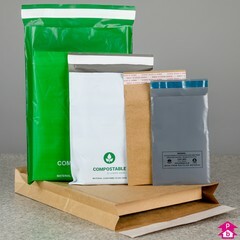 We now manufacture and stock a wide range of eco-friendly green packaging products to suit your needs and help towards a better environment (including PolyBio and Biodegradable and 100% recycled bags). These include environmentally friendly kitchen waste and refuse bags, bin liners, carrier bags, mailing bags and standard bags developed in our laboratories in conjunction with the Polymer Research Department at the London Metropolitan University. 7 Products. 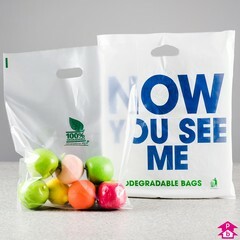 A grip seal bag has a simple plastic ridge that clicks shut and pulls open for continual re-use. This is a range of clear plain biodegradable grip seal bags offering an environmentally-friendly alternative to traditional grippers, all at a thickness of 160 gauge (40 microns) and ranging from 3.5" wide (89mm) up to 10" (254mm) wide. 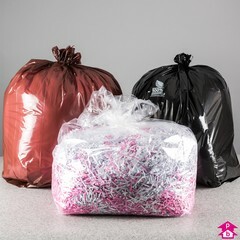 Once their useful shelf life has passed these bags will first degrade and then biodegrade into environmentally-benign matter within just months or years, rather than decades or centuries. 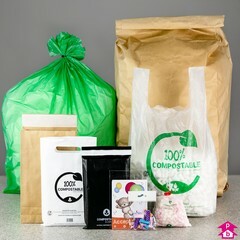 Please note: all bags in this range are biodegradable, but GL10BIO gives you an option without a 'Biodegradable' logo. 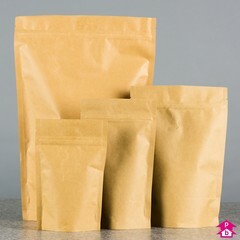 See also our full range of Grip and Zip Seal Bags. 4 Products. 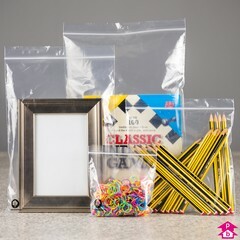 These crystal-clear display bags are both biodegradable and compostable making them one of the most eco-friendly display products we offer. 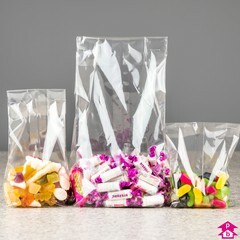 They're ideal for chocolates, sweets, popcorn, confectionery, cereals, pulses or anything else that fits! 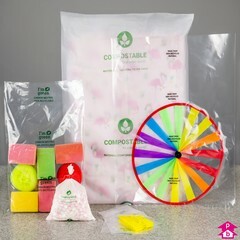 They're made from cellulose based bio-film from renewable resources (wood-pulp from managed plantations) which is certified to the European standard (EN13432) for industrially compostable packaging. 3 Products. 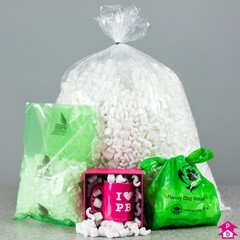 We are now developing a range of specific environmentally friendly bags including the popular 'dog poo' doggy bag for the growing number of considerate dog owners who also wish to help the environment. Thank you on behalf of all park users!